Activity tables for toddlers are available in many forms today. From simple water and sand tables to multiple activities. Choose one of the many themes available to help your toddler learn colors, shapes and sounds. The sky is the limit when choosing an activity table. Toddlers as young as 6 months can benefit in many ways including learning to balance, motor skills and problem solving. All while exploring the exciting shapes, colors and activities of these great developmental toys. This fold and go activity table is also a great building toy for toddlers. It comes complete with 20 big, soft and colorful blocks. This toy is portable and stores easily, it is recommended for kids 3 years and up. Kids can build a castle or create a whole city block. It comes with a great assortment of pieces including, bridges, a car and building blocks. Designed for quick set-up and portability, it can be used anywhere and provides a storage compartment for easy clean up. This is truly a learning toy with lots of colorful and productive features. The piano mode offers the ability to let your child learn colors in three languages, as well as activating five classic melodies. The drum station counts from one to five in 3 languages and the guitar mode allows your toddler to strum the guitar while it activates lights. 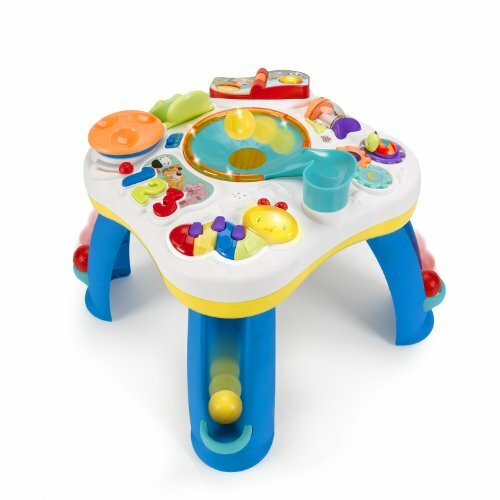 Sights, sounds, colors and learning are what this musical activity table is all about. There is lots of interaction and some fun activities with this toy. 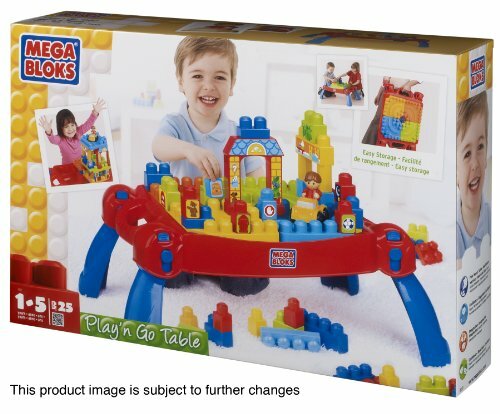 It has removable legs so that it can be used as a table toy or for floor play. The activities encourage the development of motor skills, while at the same time teaching shapes, numbers, colors, opposites and animal names. The electronic book has fun phrases and melodies and flipping the pages changes from play mode to learning mode. It comes with six balls for use on the unique ramp that swirls them around before the ball drops down one of the legs. This activity table will provide hours of entertainment and learning. It teaches in both English and Spanish. 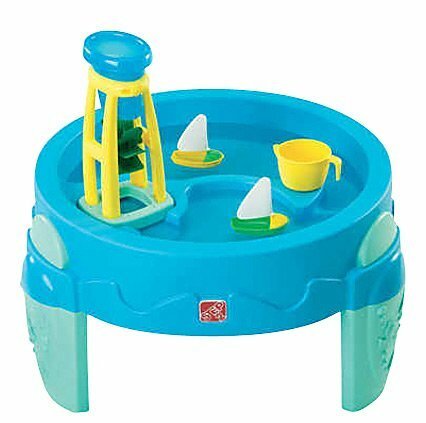 Great water table toy for indoors or for the backyard. It comes with molded-in sections to create lakes, canals and harbors. Hours of imaginative play with the four piece accessory set of boats, cup and water wheel tower. This is a safe water toy for ages one to four years and the elevated design keeps the kids up and out of the dirt so they can stay clean, even outside. This can accommodate up to 3 children at once to encourage group and interactive play. 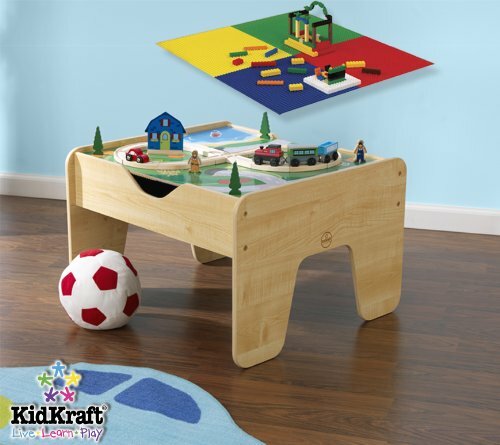 This is a sturdy and durable super art table is a great addition to any child’s room, play area or even daycare. 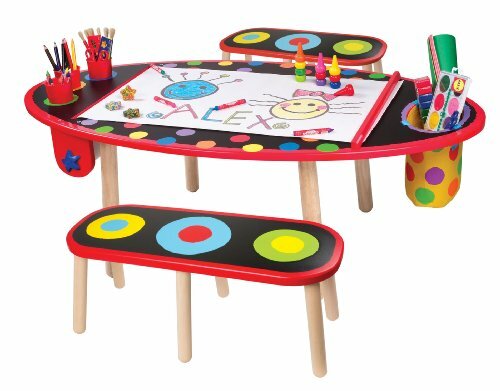 It is the perfect artists table to bring out the creativity in your child. It includes two matching benches and a chalkboard tabletop surface. Let your kids explore their creative side, enhance their imagination. Draw, paint, and write whatever they want on the 100 foot paper roll that is included. This activity table is for budding artists aged 3 and up. 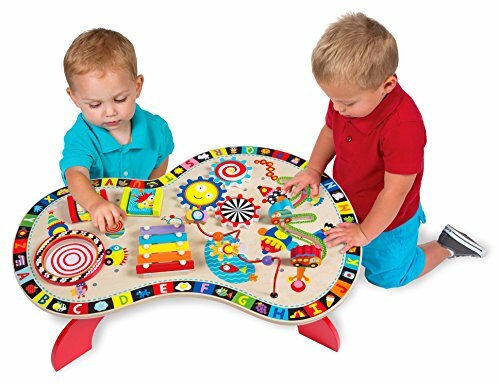 This 2 in 1 activity table is sturdily constructed and can be used by multiple children at the same time. It comes with 200 Lego compatible blocks, a 30 piece wooden train set with track pieces, a 3 piece train, instruction manual and other accessories like figurines, trees and street signs. This activity table is recommended for children 3 years and up. 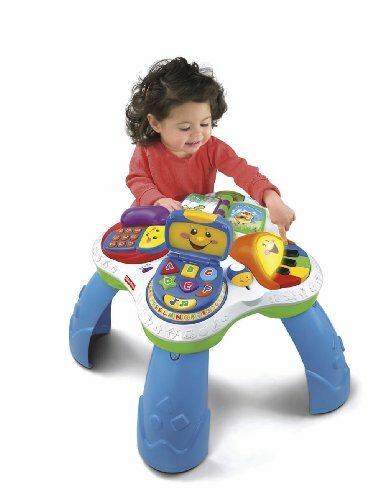 Recommended for 18 months and older this activity center can entertain up to 3 kids at once. It has 7 different and fun activities such as a xylophone and drum. It includes peek-a-boo doors, spinning gears, curvy bead maze and track sliders. Plenty of colorful fun options for your toddlers with this activity set. This is a great musical toy table that can grow with your baby. It can be enjoyed by babies of 6 months right up to toddlers of 3 years of age. Each character interacts with your baby in a different way and will aid in balance and mobility where young toddlers can move around the table to each new activity. It also teaches letters, numbers, opposites, shapes, colors, greetings and first words. Lots of songs and English, Spanish bilingual learning. Over 70 sing-along songs, music, sound effects and fun phrases for entertainment and learning. 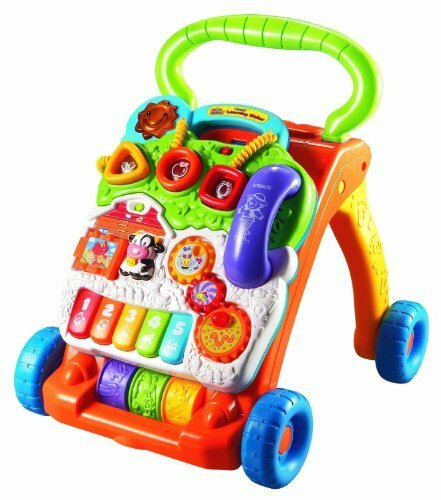 This learning baby walker is designed for babies and toddlers from 9 months to 3 years of age. Ideal for learning to balance and walk and the wheels work on carpets and hard floors. 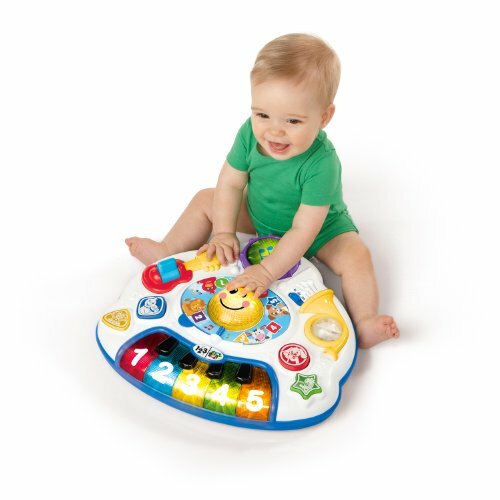 Light up buttons, colorful spinners, pretend telephone all enhance your babies motor skills, creativity and imagination. This toy will take your child all the way from crawling to baby steps to walking and it will be a ton of fun while they do it.